The KNCB have joined Oman and Scotland in confirming their participation in a Quadrangular tournament alongside Ireland next February. The Dutch will travel to Oman on February 7th and stay until the 18th, before travelling to India to play against state teams in Chennai and Bangalore. Up to five 50-over matches are scheduled between 19 February and 2 March. 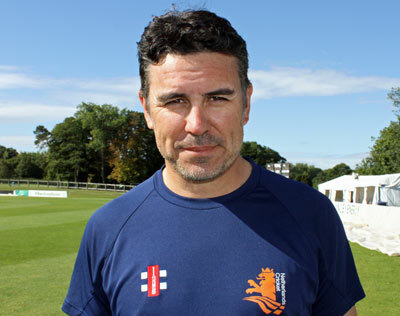 Netherlands Head Coach Ryan Campbell told the KNCB website: "To start a World Cup T20 qualifying year with a series of matches against these strong opponents is exactly what we want. "This tour gives us a great opportunity to put together as strong a team as possible, to devise strategies and to find a good balance in the team. "Then to India with some of our best talented younger players; that means they gain a valuable experience under those circumstances. "Cricket is always difficult in these conditions and I look forward to seeing the players develop in these circumstances. Especially because we will play more often in India in the coming years."